The people of Ephesus were, before they discovered Christ, debauched and decadent. There’s something in this passage, in St Paul’s letter to the Ephesians, which is rather reminiscent of things that I have read and heard in connection with Moslem fundamentalists, in places like Bradford, parts of Birmingham or even nearer to home, from where young people are going to join Islamic State – or whatever it’s now called – in Iraq. The Western world, according to their lights, is supposed to be decadent and depraved, godless; whereas they learn, in their madrasahs, that if they follow the prophet Mohamed, this will be the real thing, the true path to salvation, to God. In St Paul’s time, decadent Ephesians became decent Christians through faith. Today, wide boys from Halifax, through their faith, can become martyrs, according to the ISIL propaganda. This is a terrible week to have to think seriously about the various challenges to Christianity and our Western way of life, from the various Muslim fundamentalist groups, in particular, Islamic State, and from the various groups which claim to subscribe to Al Qaeda. The events in Paris and Northern France have been truly shocking, and they come on top of extraordinary brutality and cruelty shown by the ISIL terrorists in beheading people that they have kidnapped, and in forcing people to do things for them on pain of death. We must not forget the terrible atrocities of Boko Haram in Nigeria as well. St Paul’s great message was that the gospel of Jesus was a gospel for the Gentiles just as much as it was for the Jews. There are these slightly recondite discussions in his letters about whether it’s necessary to be circumcised or not, and what the status of the Jewish Law is: must you, in effect, become a Jew before you can become a Christian? It was, if you like, a very early example of inter-faith dialogue. True, St Paul was actually trying to proselytise, was trying to convert people, which is something which is not supposed to happen in inter-faith communications today. Rev Richard Cook, the recently retired vicar of Goldsworth Park in Woking, who was very much the Diocese’s expert on Islam, and is a good friend of the imam of the Shah Jahan Mosque in Woking, which I believe is supposed to be the oldest mosque in this country, used to say that, whenever he met his friend the imam, for a cup of tea or something, the first thing that the imam always said, after he had inquired after his health, was whether Richard was ready to convert to Islam or not. He didn’t get too upset when Richard politely declined. Trying to persuade each other of the relative merits of their particular understanding of God is something that happens all the time. We can still talk to people of a different religion, exchange ideas with them, try to understand their position better, even if they are at the same time trying to convert us. This civilised dialogue is a world away from the murders at Charlie Hebdo. The terrorists’ assault, which some of our newspapers characterised as ‘an assault on free speech’, an ‘assault on democracy’, was indeed an assault on the way of life of a civilised country. The hallmark of free speech is said to be that, even though I disagree with what you say, I would defend to the last your right to say it, your freedom of speech. Equally, as a consequence of our all being God’s creatures – or just our all being human – as a matter of human rights – we are democrats: we have the right to choose our own government, by majority voting. 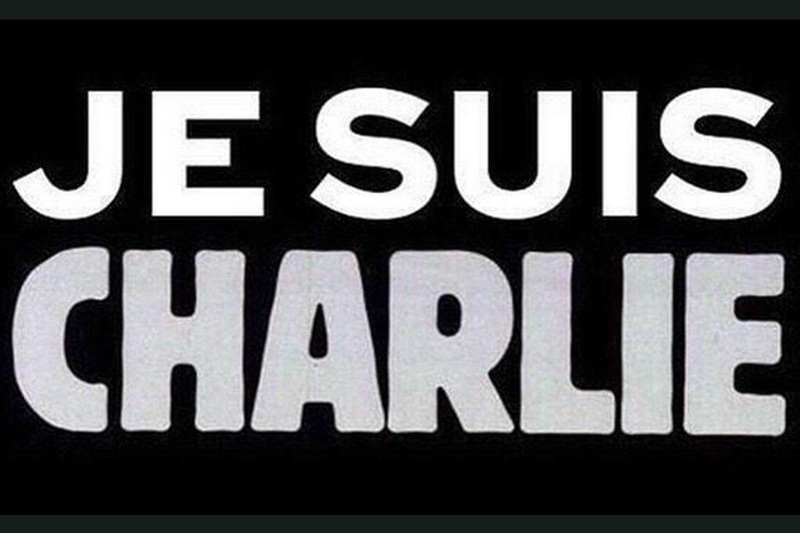 To the extent that our voices are silenced, by people like the terrorists who attacked Charlie Hebdo, it is an assault on democracy. But amid this outpouring of grief and solidarity, solidarity with the journalists at Charlie Hebdo and with all journalists, who not unnaturally feel that this has been an attack on them all collectively, alongside all that, there have, perhaps unfortunately, been some notes of discord. Earlier in the week, in his LBC radio phone-in programme, Nick Clegg encountered a questioner called Omar, who asked him whether he didn’t agree that the journalists at Charlie Hebdo had in fact brought their demise on to themselves, by their blasphemy. Nick Clegg was very angry on air, and insisted that the attack on Charlie Hebdo could not be defended under any circumstances or on any grounds. But it was plain that the questioner, Omar, either didn’t understand what he was saying or, certainly, didn’t agree with it. And there was a piece on Radio Four involving some vox pop interviews with people in Bradford. They were British; they had Yorkshire accents, and were probably second or even third generation since their ancestors came over from the Indian subcontinent. Nevertheless they also commonly came up with the view that the Charlie Hebdo attack was brought on by the journalists themselves, by their blasphemous publications. There was no concept, in these people on Radio Four or in Omar on LBC, that somehow the principles of human rights, of free speech, of democracy, could trump the seriousness of any alleged blasphemy. We say that the merits of democracy, of free speech, are self-evident: we all live by them. Anyone trying to contradict the principles of free speech or democracy is, in effect, attacking our society. At which point I ask myself where we get our sense of human rights, of free speech, free will, of democracy, from. Because it seems to me that in fact they are not simply true or desirable in themselves. It’s not necessarily true that, because you’re a human being, you will automatically agree that democracy is a good thing, or that free speech is a good thing. Omar and Co are evidence of that. There are many nations in the world today where democracy, the rule of the people, is subservient to the idea of theocracy, rule by God or by God’s representatives, by mullahs for example. It’s not the case that everyone, simply by virtue of being human, will assent to the proposition that democracy is pre-eminently a good thing, or that free speech is a good thing. Even we to some extent accept restrictions on free speech – sometimes for commonsense reasons, so you are not allowed to shout ‘Fire!’ in a cinema – but also, ironically, for the purpose of collective security, in order to prevent the attacks on our way of life which terrorists have made and have threatened in future. We accept limited restrictions on free speech in order to preserve the right to free speech in general. We justify the idea of free speech, the idea of human rights and so on, I think, not on the basis that they are self-evident truths, but rather ultimately because of our Christian belief. We believe that God made us equal in His sight, and that He gave us the freedom to choose good or evil. Muslims also believe in God, and possibly, in the same God. But they believe that free speech doesn’t come into it. If you blaspheme, according to them, you forfeit your right to life. So we are in disagreement with Muslims, disagreement over something very important, about how God works. Although I would stress that this is not an argument for anti-Semitism, one could draw a parallel with the disagreements between the Jews and the Christians in the time of Jesus. The Jews and the early Christians were in disagreement. Jesus was a threat. He challenged the orthodoxy of the Pharisees and the scribes, their cherished beliefs. They dealt with the problem by killing Him. In an evil way, the terrorists in Paris may also have felt that they were somehow solving the disagreement that they felt, between their own vision of the good life and what they perceived to be the contradiction to it in decadent Westernism, by killing what they saw as a major source of the decadence and blasphemy which they so disagreed with. That is not in any way to excuse the evil of what they did, but it might explain it. What is our way of dealing with people we fundamentally disagree with? In so many cases, unfortunately, as a matter of history, it has involved warfare. If as a country we can’t agree with someone, or we feel that their view needs to be overturned, there is, always not very far from the surface, a resort to warfare. We disagree with the Syrians. We are at war with them. But I do feel that we are not likely to change their minds by bombing them. I feel that instead, the solution to all this trouble must lie in the development of mutual understanding. But, as St Paul has pointed out here, there is a limit to what we can do; there is a limit to how we can bring about the Kingdom. Everything depends on our believing and trusting in God, and in God responding with His bountiful grace. Are we prepared to risk that, or are we going to carry on as though we had never heard the Gospel message, of peace and forgiveness? Peace and forgiveness leads to repentance and reconciliation. I pray that, as we defend our way of life, our gifts of free speech and democracy, we will remember how our prophet, the prophet Isaiah, foretold the coming of God’s kingdom, and how gentle our Messiah is to be. and the coastlands wait for his teaching. [Is. 42:1-4]. What a week! The church is being persecuted: Christians are being killed, just for being Christians: there are disciples in prison. Brutality, killing, everywhere. Equally true in our lesson from Acts, and still – even more so – today. In Mosul, near to the ancient city of Nineveh, which Canon Andrew White, the Vicar of Baghdad, memorably said yesterday on Radio 4’s Today Programme, was ‘made famous by that dubious submarine evangelist Jonah’ – you know, Jonah and the whale – fundamentalist Moslems have been confronting Christians and giving them a choice between converting to Islam and death. It was reported that there was an option of paying a fine, but Canon White says he doesn’t think it was real. Convert or die. Or if you live in Sudan and they think you have changed your religion away from Islam, again you will be killed, killed by due process of law. Dr Meriam Ibrahim was brought up a Christian, but her father, who deserted his family soon after she was born, was a Moslem. Somehow she was accused of apostasy and sentenced to be flogged – 100 lashes (when they reckon 40 is life-threatening) – and then executed. She was heavily pregnant, and was forced to give birth in prison while shackled to the floor. A completely harmless, innocent doctor. But she still had the courage to stand up for her faith. She refused to renounce it. She would rather suffer – and she did. She is worried that her baby may have been damaged by being born when she was unable to move her legs because of her chains. What a week. We cannot understand the unspeakable horror that is happening in Gaza. 1,000 Palestinians dead and countless more seriously hurt. According to the United Nations and the BBC, almost all were innocent civilians. About 40 Israelis dead, all but three of them soldiers. Yesterday an British Apache attack helicopter flew over my garden. You could see its machine guns, missile and bomb pods. Imagine that helicopter – because that’s what the Israelis have too – flying towards you and letting loose that vast destructive force at you and your house. Or if not a helicopter, a fast jet or a so-called drone – actually some of them are as big as an airliner – or a Merkava battle tank. You have nowhere to run, nowhere to hide. They hit hospitals. On Friday they shot up an ambulance and killed a doctor. One in four of the people they have killed, according to Save the Children, is a child. I’m not going into the merits of this as between Israelis and Palestinians. The great conductor Daniel Barenboim, who holds both Israeli and Palestinian passports, has written a very good piece in yesterday’s Guardian, http://gu.com/p/4v8bg, in which he says that what is wrong, at bottom, is that both sides want each other’s land. You can argue it all ways – but only one thing is certain, he says, and that is that violence, the use of force, solves nothing. Of course the Israelis don’t want the constant threat of rockets falling on them (although they have developed the highly effective Iron Dome anti-missile shield system). Of course the Palestinians don’t want to be annihilated by one of the most powerful armed forces in the world. But – and this is what Daniel Barenboim says – it doesn’t help either side to continue the use of force. Remember, Daniel Barenboim knows about getting the two sides together. He created the famous West-Eastern Divan Orchestra, in which musicians from both sides play wonderfully together. They have been at the Proms, although I don’t think they’re coming this year. And then there’s MH17, the airliner shot down over the Ukraine. Whatever else may be true about that, the people who died were innocent bystanders. No wonder the Dutch prime minister is so angry, blaming the Russians. What a week. The poor early Christians must have felt similar emotions, in that Passover time that our lesson was about. They were innocent. But the majority around them, the Roman army of occupation and the Jewish majority, didn’t like them. They wanted to be rid of them. Maybe some of the animus against them was like the prohibition against apostasy in parts of Islam today. The early church contained a lot of people who were of Jewish origin. They were seen as apostates, people who had turned away from the true religion. They must be killed. That was what they had in mind for St Peter. He knew. He said, ‘The Lord hath sent his angel, and hath delivered me … from all the expectation of the people of the Jews’. Sinister understatement – to have been delivered from all the ‘expectation’. What did they expect? More death. Execution. Stoning. What a wonderful escape! But now, here, unless you work for one of the relief agencies or for one of the broadcasters or newspapers, it’s difficult to be really involved. Really involved – not with the Roman world 2,000 years ago, and not with the Middle East today, but here in Stoke D’Abernon. What are we supposed to do? What would Jesus do? It’s clear, in the Sermon on the Mount. Matthew chapter 5. ‘You have learned that they were told, “An eye for an eye, and a tooth for a tooth.” You know – the Israelis say, we will stop our military operation for 24 hours – but if there are any rockets, we will retaliate. An eye for an eye. But Jesus said, ‘…. resist not evil: but whosoever shall smite thee on thy right cheek, turn to him the other also.’ Daniel Barenboim. I don’t think he’s a Christian – but he’s got it. Turn the other cheek. Don’t launch an artillery strike. And certainly, don’t fire off any more rockets either. No more war, however angry, however justified you feel you are. Now that may be absolutely right – but is that likely to do any good? Just for all of us good Surrey people to nod sagely and say, yes, they must stop killing each other: it’s surely not very likely to do anything, is it? I’ve held back from my look at this terrible week two good things, two good things which might still give us a glimpse of grace, a reason to hope. The first is in our lesson from the Acts of the Apostles. It says, ‘Peter was kept in prison under constant watch, while the church kept praying fervently for him to God’. Kept in prison under constant watch – just like poor Meriam Ibrahim. But the church was praying to God for him – just as, all over the world, and certainly here at St Mary’s, Christians have been praying for Meriam. So the first is that there was a lot of prayer, prayer for release from the tyranny of oppression, prayers for release from imprisonment for Peter and for Meriam. And of course the second is that the prayers were answered. St Peter escaped. His chains fell off. ‘Now I know it is true’, he said; ‘the Lord has sent his angel’ – he has answered all those prayers. A million people signed petitions calling for the Sudanese government to release Dr Meriam. Many, many of those online petitions were also prayers. And now she has been freed: not only just freed, although that is good enough: but she has been welcomed and blessed by Pope Francis. The prayers were answered. ‘The pope thanked Meriam and her family for their courageous demonstration of constancy of faith. Meriam gave thanks for the great support and comfort which she received from the prayers of the pope and of many other people who believe and are of goodwill’, said Vatican spokesman Federico Lombardi, according to Friday’s ‘Guardian’. At the ‘house of Mary, … where a large company were at prayer.’ We are also in the house of Mary. Although we are far away from the strife in the Middle East, I think we can learn from these happy stories, of Peter’s escape from prison and from Dr Meriam and her family getting away safe. We can learn that it is important always to pray. Prayers are answered. They were, they are, answered here. As we pray, let us pray for all the injustice and violence in the world to stop, and for the innocent prisoners to be freed. Let’s not forget that, as we bring our concerns before God in our prayers, He may speak to us. He may inspire us to take action. We can give, or we can agitate, we can even be political. Canon Andrew White said yesterday that in his work in Iraq, the most important help and support had come from the people of the UK. Britain more than anywhere else had tried to help the Christians in Iraq. So let us consider what we can do to help the Foundation for Reconciliation and Relief based in St George’s Church in Baghdad. Look them up with the help of Google – http://frrme.org. Look them up. Give them some money, if you can. And say a prayer.